Less plain-text is better. Right? Every connection and every user on the Internet is being monitored and snooped at to at least some extent every now and then. Everything from the casual firesheep user in your coffee shop, an admin in your ISP, your parents/kids on your wifi network, your employer on the company network, your country’s intelligence service in a national network hub or just a random rogue person somewhere in the middle of all this. My involvement in HTTP make me mostly view and participate in this discussion with this protocol primarily in mind, but the discussion goes well beyond HTTP and the concepts can (and will?) be applied to most Internet protocols in the future. You can follow some of these discussions in the httpbis group, the UTA group, the tcpcrypt list on twitter and elsewhere. Most networking surveillance can be done entirely passively by just running the correct software and listening in on the correct cable. Because most internet traffic is still plain-text and readable by anyone who wants to read it when the bytes come flying by. Like your postman can read your postcards. In the way of real security? Basically the argument against opportunistic approaches tends to be like this: by opportunistically upgrading plain-text to unauthenticated encrypted communication, sysadmins and users in the world will consider that good enough and they will then not switch to using proper, strong and secure authentication encryption technologies. The less good alternative will hamper the adoption of the secure alternative. Server admins should just as well buy a cert for 10 USD and use proper HTTPS. Also, listeners can still listen in on or man-in-the-middle unauthenticated connections if they capture everything from the start of the connection, including the initial key exchange. Or the passive listener will just change to become an active party and this unauthenticated way doesn’t detect that. OE doesn’t prevent snooping. Isn’t it better than plain text? The argument for opportunism here is that there will be nothing to the user that shows that it is “upgrading” to something less bad than plain text. Browsers will not show the padlock, clients will not treat the connection as “secure”. It will just silently and transparently make passive monitoring of networks much harder and it will force actors who truly want to snoop on specific traffic to up their game and probably switch to active monitoring for more cases. Something that’s much more expensive for the listener. It isn’t about the cost of a cert. It is about setting up and keeping the cert up-to-date, about SNI not being widely enough adopted and that we can see only 30% of all sites on the Internet today use HTTPS – for these reasons and others. Mozilla and Firefox is basically the only team that initially stands behind the idea of implementing this in a browser. HTTP:// done over TLS will not be seen nor considered any more secure than ordinary HTTP is and users will not be aware if that happens or not. Only true HTTPS connections will get the padlock, secure cookies and the other goodies true HTTPS sites are known and expected to get and show. HTTP:// over TLS will just silently send everything through TLS (assuming that it can actually negotiate such a connection), thus making passive monitoring of the network less easy. Ideally, future http2 capable servers will only require a config entry to be set TRUE to make it possible for clients to do OE on them. I find this initiative rather interesting. If implemented, it removes the need for all these application level protocols to do anything about opportunistic approaches and it could instead be handled transparently on TCP level! It still has a long way to go though before we will see anything like this fly in real life. Anthony’s and my discussions about metalink started in September 2006 and we’ve bounced countless of mails and ideas back and forth since then. Even more, we’ve become friends and we’ve worked together on several related subjects as well, including several Internet Drafts within the IETF. We had aÂ metalink discussion on the libcurl mailing list back in April 2008 about whether to have libcurl support it natively or not, but we (I) ended up with the conclusion that it wasn’t fit for libcurl. Basically because metalink is a layer on top of the application protocols that libcurl supports. I wasn’t quite prepared at that time to accept the patches for the curl tool since I didn’t like all the XML stuff it would bring in and as I recall it I felt that I wasn’t prepared to deal with that extra work load at the time. I think I told the guys I wanted to wait and see and try it more at a later point. While I said metalink wasn’t really fit for libcurl, it was always fit for curl – the command line client that uses libcurl but is more of a transfer tool. During the spring 2012 Anthony and super-hacker Tatsuhiro Tsujikawa approached me and asked if perhaps we were ready for metalink in curl this time? Since the last time, metalink has developed as a standard and there’s now a libmetalink project to use and I felt it was a good time development wise as well. Tatsuhiro whipped up a refreshed patch in no time and soon we were polishing off the last little edges around the corners and the metalink patch set was merged into curl 7.27.0! Anthony’s and Tatsuhiro’sÂ persistenceÂ and patience over the years are impressive. Thanks a lot my friends! That’s a little over five and a half years since the first approach until it got merged into the mainline sources. That’s nothing but pure dedication. Where the URL is a URL that points to a metalink file, and then curl will download the file from one of the URLs mentioned. curl will at this point try them serially if there are multiple ones specified and not in parallel. Room for future improvements. 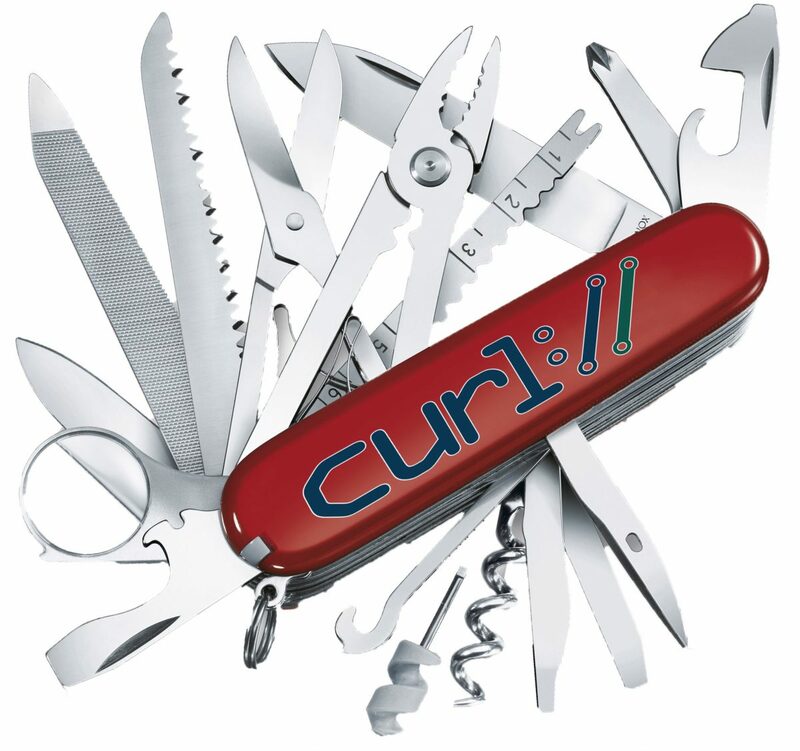 curl 7.27.0 will probably be released in the end of July 2012, but you can already get an early test version as a daily snapshot. We’ll appreciate all feedback you can give us!